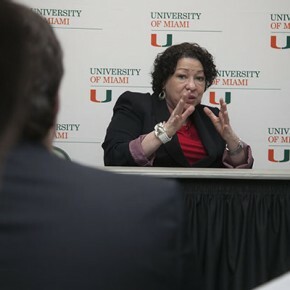 Supreme Court Justice Sonia Sotomayor, the first Hispanic and third woman ever appointed to the U.S. Supreme Court, will appear Friday at 6 p.m. at UM’s BankUnited Center for a conversation with President Donna E. Shalala. 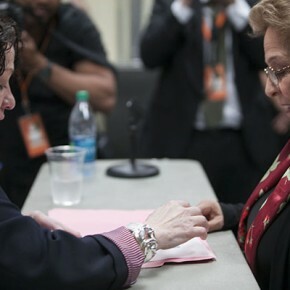 The book chronicles her path from an unstable childhood in the Bronx to a successful career as a lawyer and federal judge. 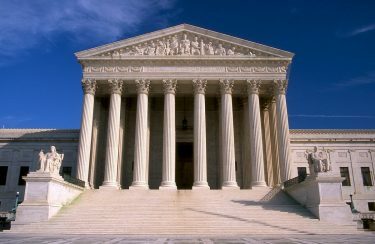 Appointed in 2009 by President Barack Obama, Sotomayor brings diversity to the bench, which has been one of the hallmarks of her tenure. Cliff Friedman, a second-year law student, believes Sotomayor’s background as a female Puerto Rican with humble financial beginnings gives her a unique outlook. Tickets are free to students and can be picked up at the UC ticket window between the hours of 8:30 a.m. and 3:30 p.m. with a valid Cane Card. Distribution began Wednesday on a first-come, first-served basis and will continue until they are gone. The exact number of student tickets provided has not been disclosed. Mary Delcamp, a third-year law student, already has her ticket and is thrilled for the opportunity to see Sotomayor. 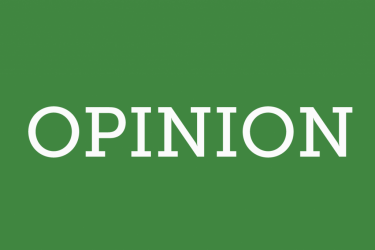 Delcamp hopes to hear about some of the controversial court cases that have cropped up recently, including Citizens United. 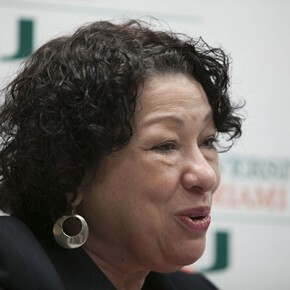 She also admires what Sotomayor represents to the nation. “I appreciate her appointment to the bench and the diversity she brings,” she said. Tickets are available and free for students at the UC ticket office.